Has The Asian Carp Broken Into The Great Lakes? ~ The flying Asian carp disaster. On March 4th, the Canadian Journal of Fisheries and Aquatic Sciences published a paper which claims that 45 grass carps, a species of Asian carp, were caught in the Great Lakes Basin between 2007 and 2012, click here. And another report that came out last year claims that grass carps were successfully spawning in the Great Lakes, click here. This is very bad news as the Asian carp is a very prolific and robust fish that can severely damage the ecosystems of the Great Lakes; they do this by wiping out the vegetation and habitats, thereby displacing indigenous fish species. In certain areas, they can outnumber local fish species by 10 to 1. In the Mississippi River, Illinois River, and elsewhere, other species of Asian carp, most notably the silver carp, have proven to be pugnacious and voracious invaders that can eat 20% to 40% of their own body weight each day and can quickly grow to 100 lbs! What's worse, the silver carps are sensitive to the noises of boat engines and can jump right out of the water, possibly by the hundreds – sometimes hitting people and damaging property! ~ Canada's Global News: Asian carp coming in by trucks! These fishes were first imported from China into the Mississippi Delta in 1963. They were used to control algae and weeds in fish farms. As with most imported alien species, they eventually found their way into the native habitats to do serious damage. Because they are so prolific (females can lay over two million eggs each year), the infested areas have now become a lost cause. Top priority now should be given to strategies that would stop the spread of the Asian carp into unaffected waters. The United States government has already spent over $200 million on this problem, including $30 million on electric barriers to prevent Asian carps from entering the Great Lakes from the Illinois River. However, this strategy might hinder the migration of indigenous species of marine life and disrupt their reproductive cycles. 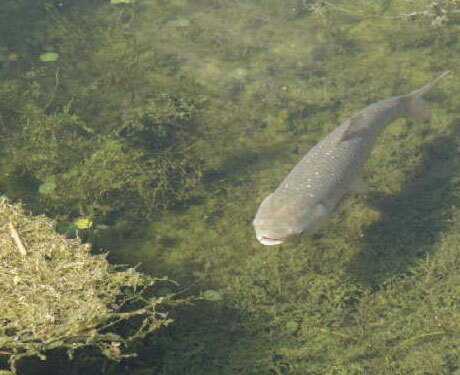 ~ The grass carp can grow to 4.6 ft. and weigh as much as 88 lbs. And as the latest report has shown, the grass carp might have broken through and entered the Great Lakes anyway. Although the silver and bighead carps are the most notorious Asian carp species, the grass carp is also feared for its awesome potential to totally annihilate lake weeds and grasses, which native species feed on. Just as fast-growing, voracious, and prolific as its infamous cousins, the grass carp can eat up to THREE times its own body weight daily! Their threat to local habitats in the Great Lakes Basin is very real and potentially catastrophic. In the mean time, the fishing of Asian carps in already infested waters seems to be the only other solution. They are a natural protein source that can be readily converted into animal feed or fertilizer. But perhaps the most lucrative method is to sell them to humans as food, particularly to the Chinese communities of North America as well as to the consumers of China, where they have been historically eaten at the dinner table. However, the transport of live specimens to uninfested areas in North America for local consumption (particularly by the Chinese community that values freshness) poses a problem for possible contamination. The authorities MUST not be lax in the enforcement of the regulations. 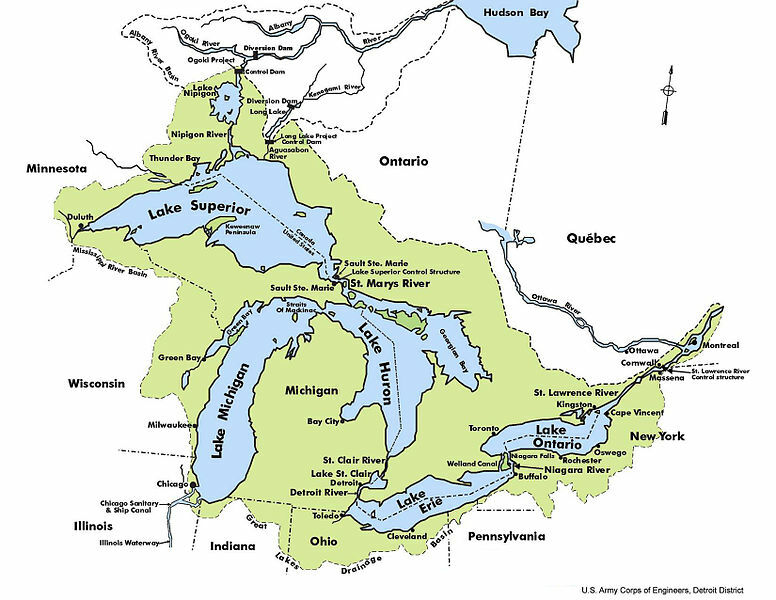 ~ The Great Lakes Basin.